Lifetime's module system ensures that you can adapt the beds to match the age, size and needs of your kids. Our range of high-quality mattresses provides optimal support for your child's body all night long. Build & match your ideal storage by Lifetime's wonderful bookcase system. Lifetime offers a wide choice of wardrobes, which suits the everyday need for storage. 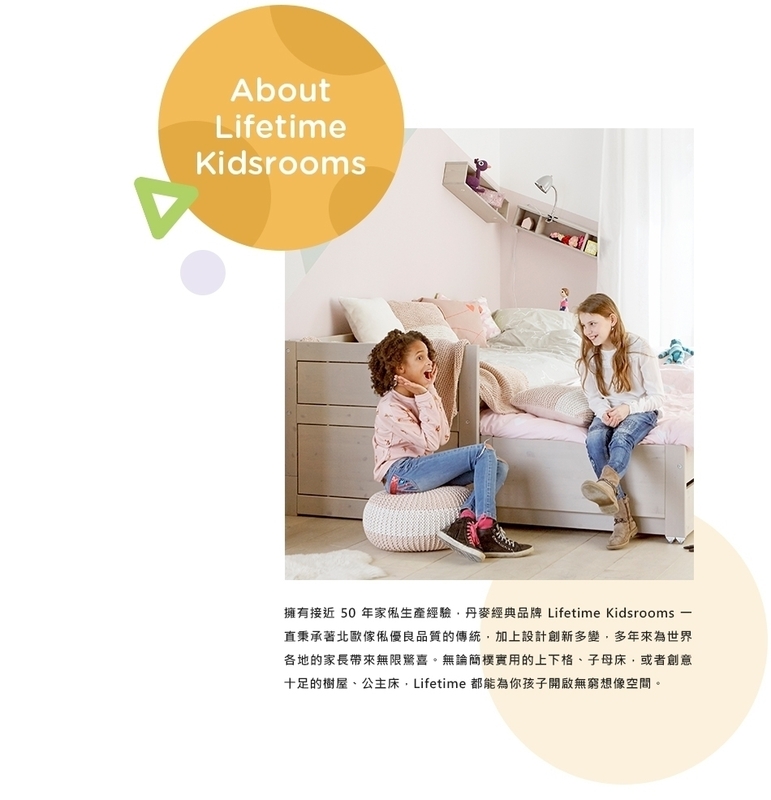 Use Lifetime's wide range of splendid accessories to put the finishing touch to your kids rooms. You can never start too early by getting the perfect desk to do your homeworks. Our modern designed desk lamp comes with different colours which fits in every children's rooms. We creates environments that are not only safe and comfortable, but also stimulating the senses of your baby.